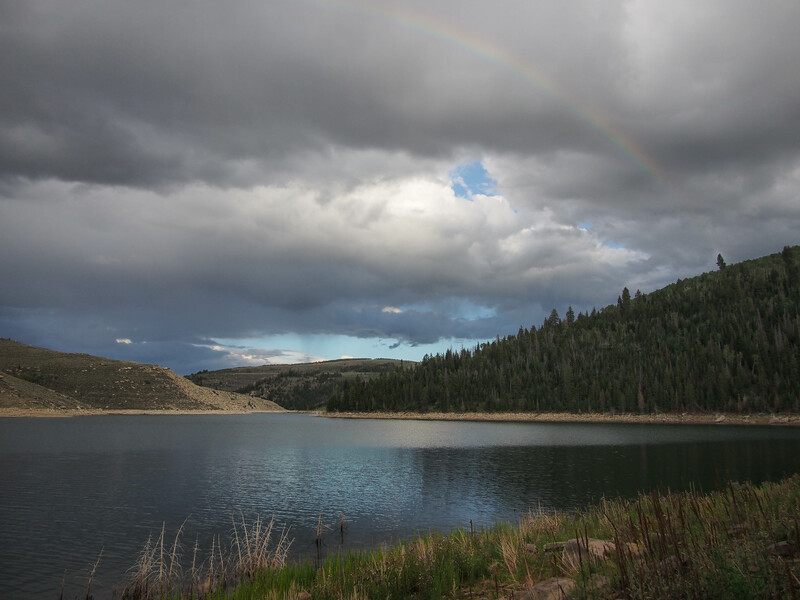 I had never spent much time at Strawberry Reservoir, except driving by on several occasions. My impression was not great as all you see from the highway (40) is a big body of water surrounded by a lot of nothing, except sagebrush. Bullet, Doc, and I were pleasantly surprised to find this wonderful place to ride which was quite different than the Strawberry Reservoir that you can see from the highway. 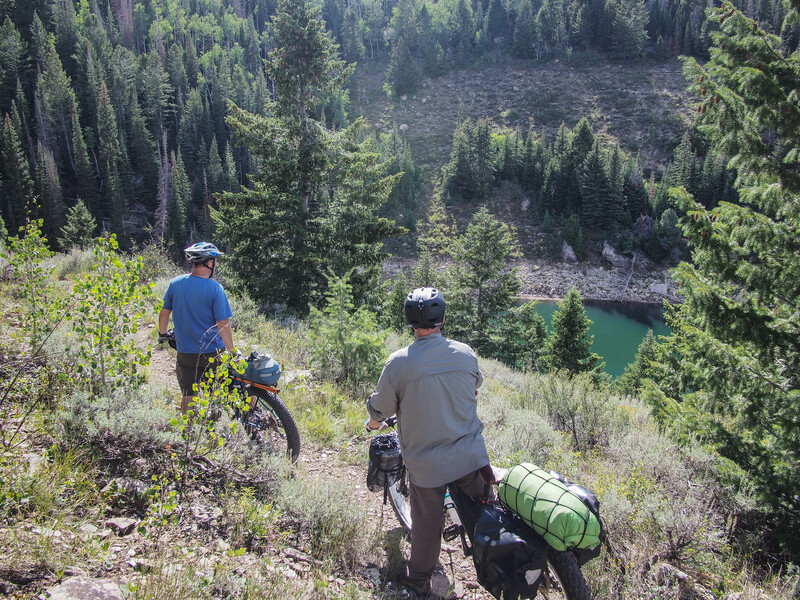 Strawberry Narrows is considered a must-ride trail on the Utahmountainbiking.com website so we thought we would check it out. 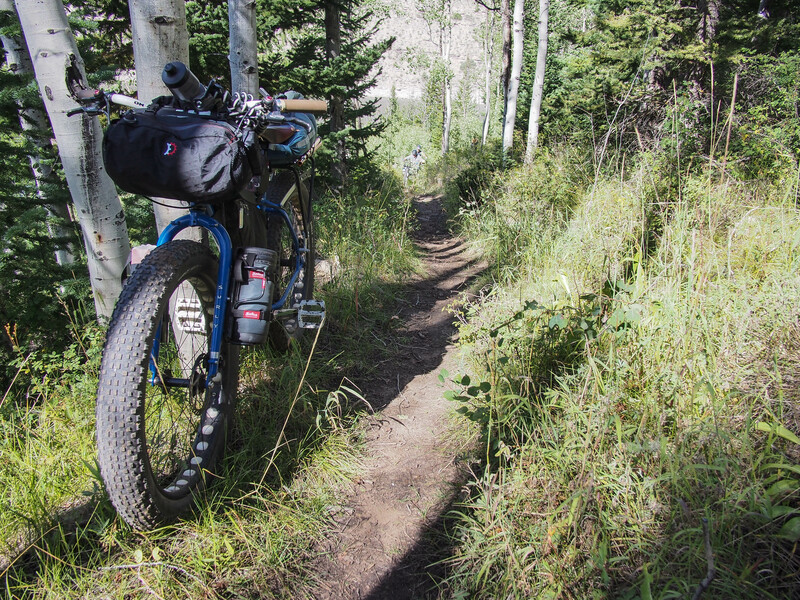 We started on the East end near Soldier Creek dam and Aspen Grove Campground. This side of the reservoir was heavily wooded with aspens and pines and was much prettier than the side visible from the highway. 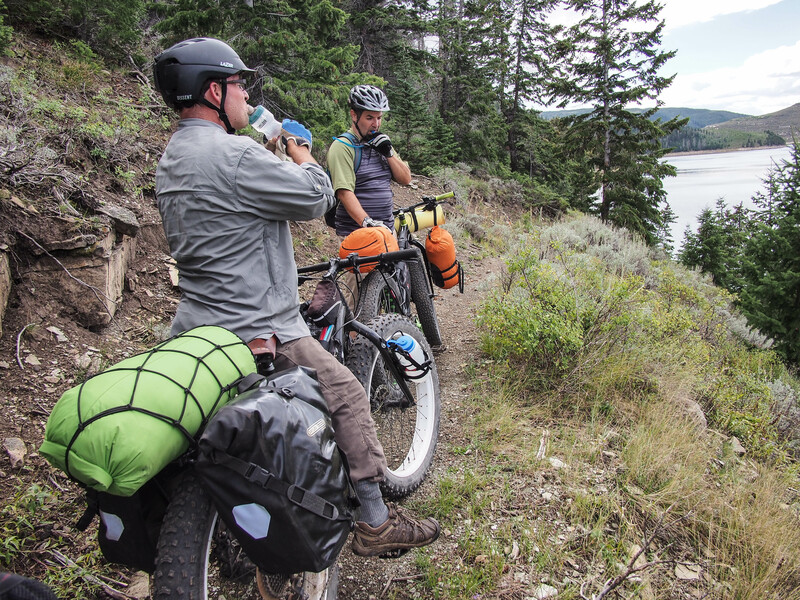 It was the first time Bullet and Doc had loaded up their bikes for a bikepacking trip. 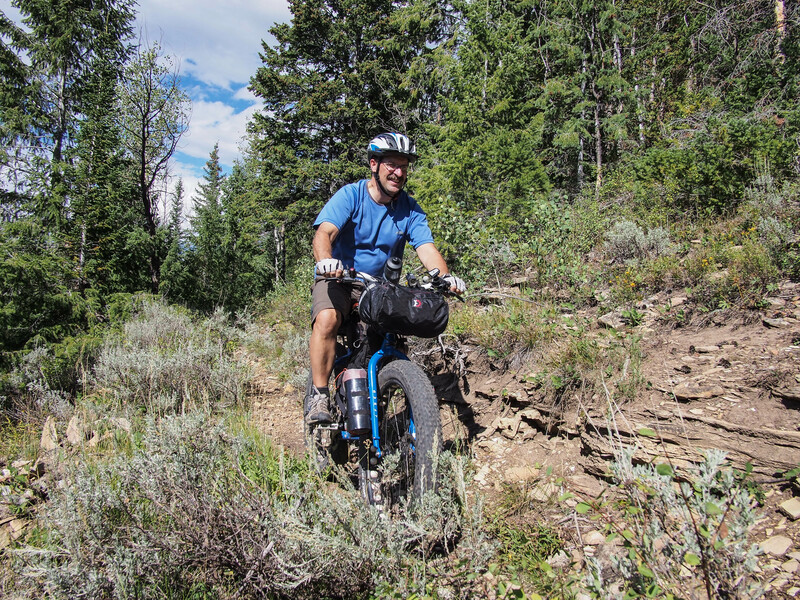 Doc opted for panniers, while Bullet and I went with dry bags and utilized our fork mounts. 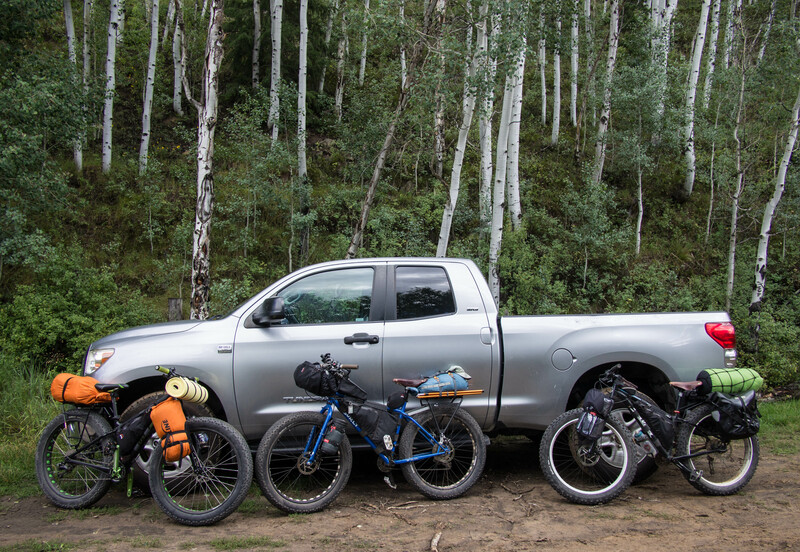 Loaded up and ready to ride. Since we had Doc’s 4-wheel drive truck we drove the short half mile of doubletrack to the beginning the singletrack trail. This is an area of the reservoir that narrows considerably. The Strawberry Narrows trail winds in and out following the shoreline. It alternates between open sagebrush and aspen and pine forests. Beginning of the east end of the trail. The terrain was pretty steep above and below the trail and there are only two primitive areas to camp along the 13 mile out and back trail. The first is only 1.7 miles out and the second 7.3 miles out. We planned to camp at the second place. 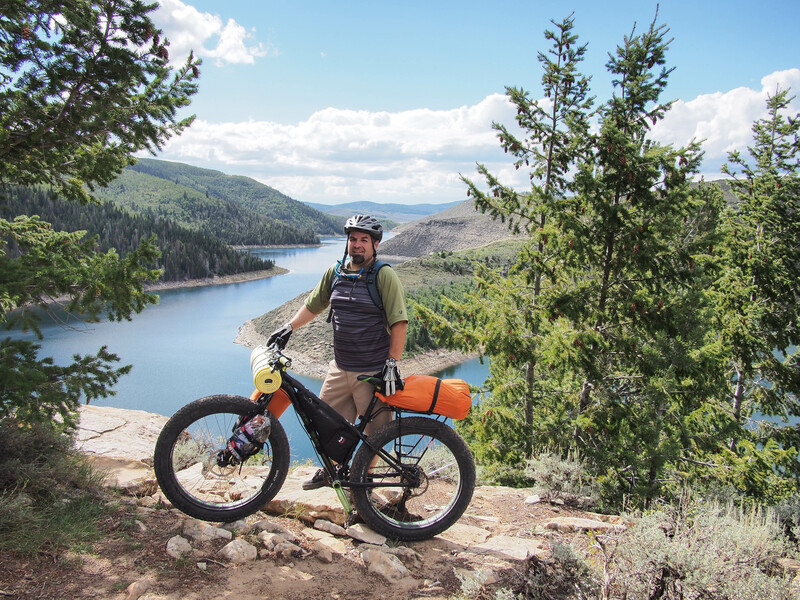 The plan was to ride those 7 miles, set up camp, then continue to the end of the trail on unloaded bikes before returning to camp. 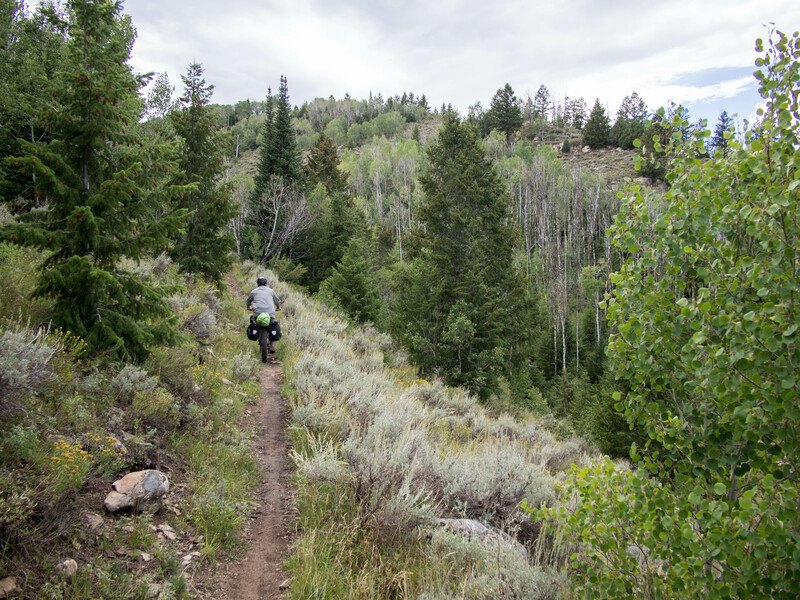 The trail was truly exceptional; no wonder it is considered a must-ride trail. Much of the trail was smooth and flowy, with occasional rocky sections and a few short, steep sections that we had to walk. And the views of the reservoir and the surrounding forest was spectacular. Coming out of the forest and into the open. A couple miles in we reached a high point with great views all around. 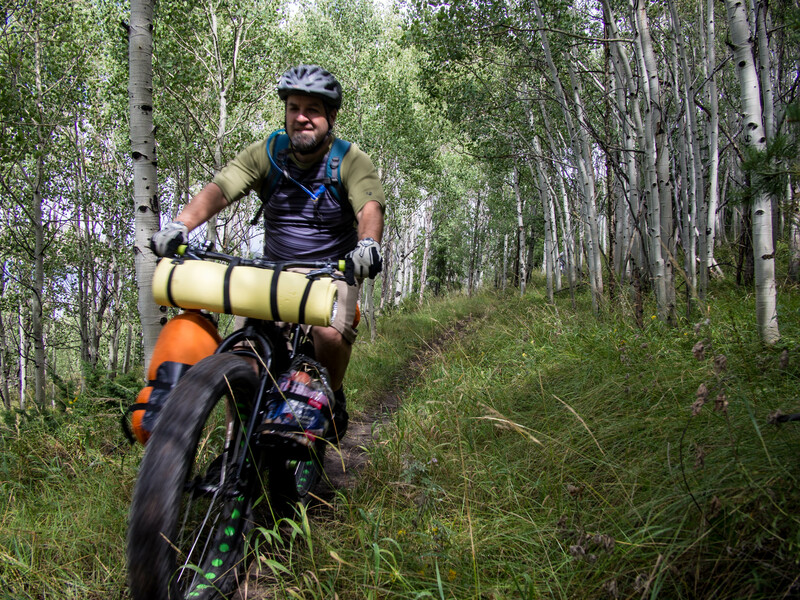 Doc with his Salsa Mukluk 3, with Ortleib waterproof panniers on a Salsa rack and Revelate Designs frame bag. 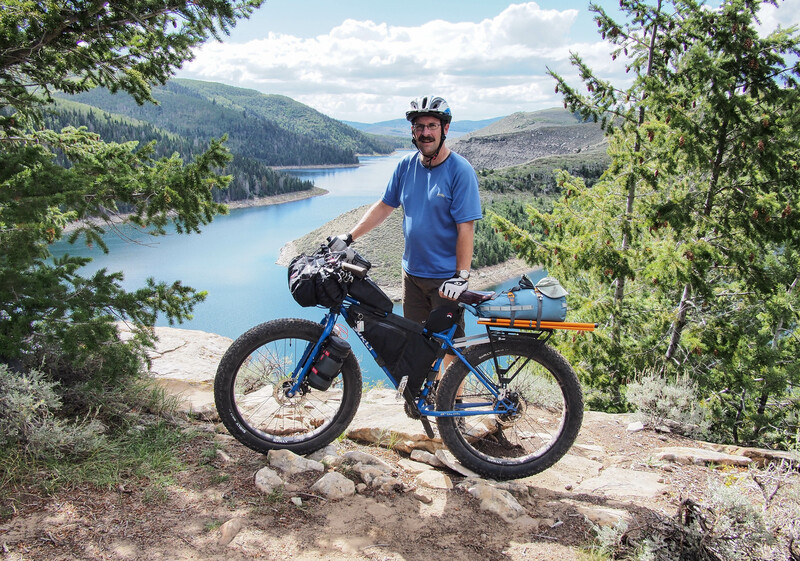 Bullet with his Trek Farley, outfitted with a Salsa rack and Revelate Designs frame bag. The Professor with his Surley Pugsley with an Old Man Mountain rear rack, and Revelate Designs bags. Taking a break, and taking in the views. 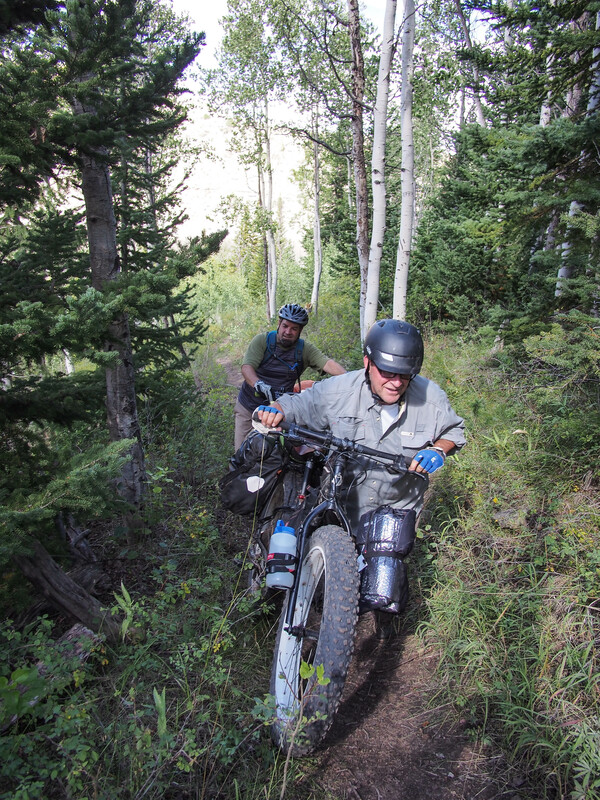 The riding was very enjoyable and in no time we arrived at the campground, which was just a fire pit and a couple flat spots to pitch a tent. 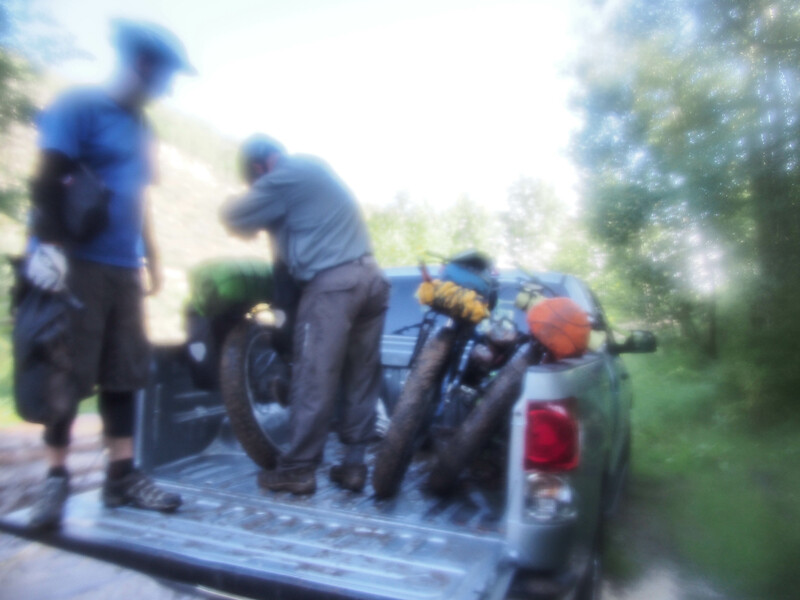 We had left Utah Valley in mid afternoon, and by the time we got to the camping area it was about 5:00 pm. Doc and Bullet were hammocking so I set up my tent. By the time we had everything set, the weather was looking a bit threatening, so we decided to cook dinner. 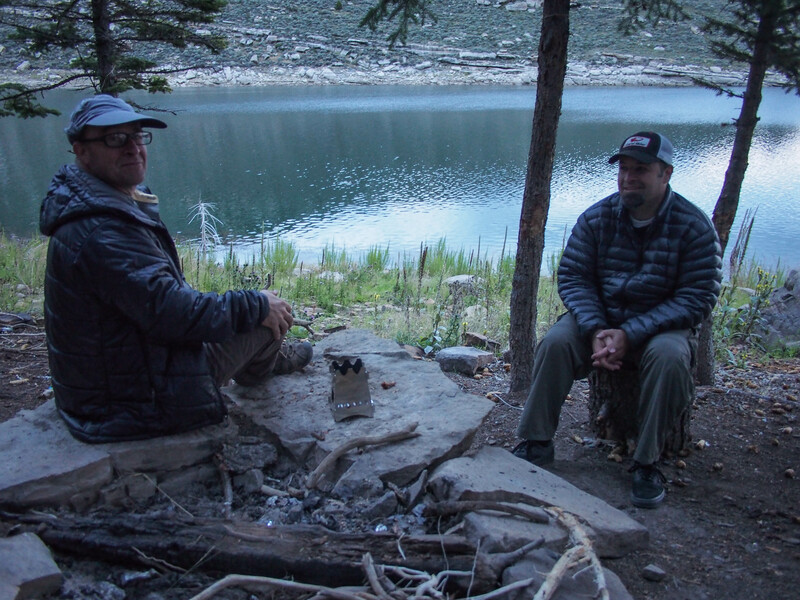 Since this was just a short overnighter, we all had our own stoves and food. Doc had a small foldable wood burning stove, Bullet had a small canister stove, and I had a small DIY alcohol stove. Coincidentally, we all had mashed potatoes of some kind for dinner. Lounging around before the storm. Our camp on the edge of the water. The view from our camp; a lull in the storm before it really broke. We lounged around camp after dinner. Bullet spent more time fiddling with his tarp. Just as it was getting dark a storm started to move through. We all retreated to our beds for the night at about 9:00 pm just as it began raining. Then the lightning and thunder started, and the rain got heavier and heavier. The wind was pretty intense as well. It turned into a ferocious storm with driving rain and thunder and lightning. 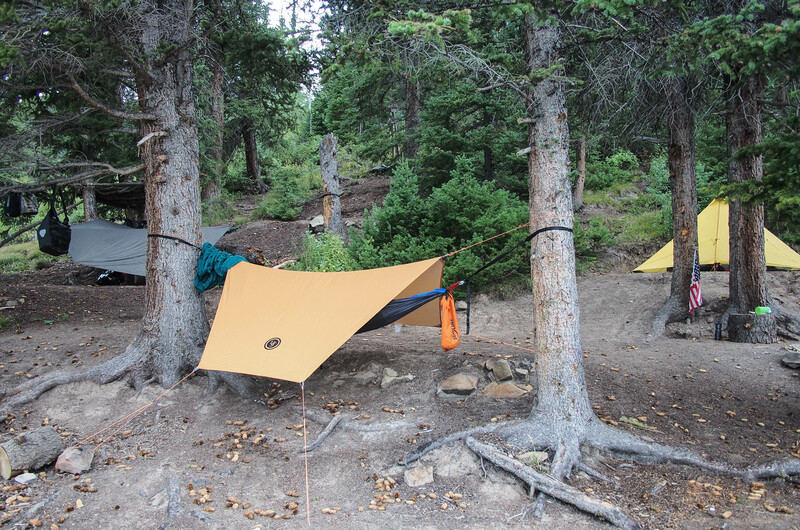 Bullet’s rain fly was not made for his hammock system and was a bit too short. His hammock was also pitched lower and more exposed to the rain and wind than Doc and I, so after about and hour and half out he came knocking at my tent door. I rearranged some things and he set up in my tent, a two man floorless, pyramid-type tent (Mountain Laurel Designs Duomid, http://www.mountainlaureldesigns.com/shop/product_info.php?cPath=47&products_id=105). Because it is an ultralight weight floorless design, it is not ideal for torrential rain. I also could have pitched it closer to the ground. We had water running under the edges and pooling inside. Fortunately, I have a 3 inch pad so I stayed above the wet. Bullet had a very thin closed cell foam pad that is quite adequate for a hammock but not ideal on the ground. I made the mistake of leaving my shorts and padded liners at the foot of the tent, where they got soaked. We stayed warm and dry through the night, despite the fierceness of the storm. 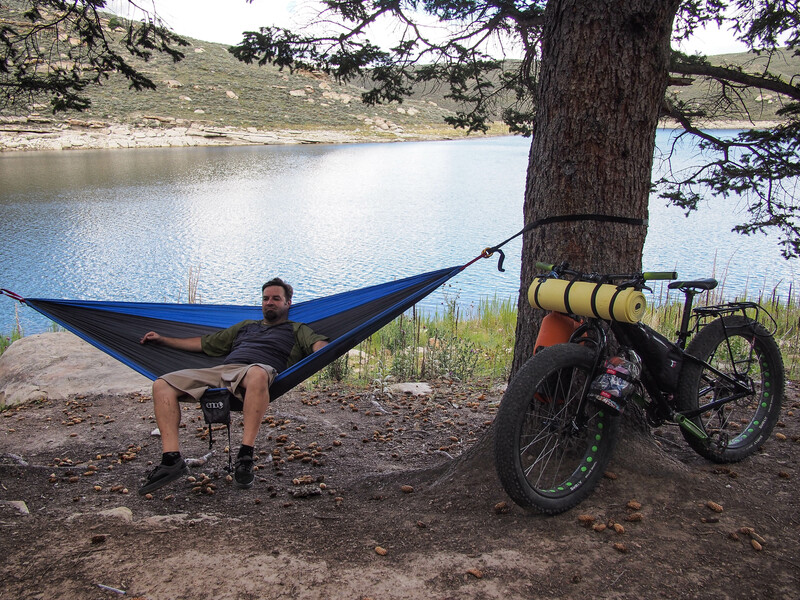 Doc slept peacefully without feeling a drop of rain all night in his expedition style Hennessy Hammock system. The rain finally stopped at about 1:00 am, then to our dismay started up again around 5:30 am and rained hard for an hour and a half. Bullet and I decided that as soon as it let up a bit we would hurry and break camp. At 7:00 am the rain suddenly stopped and we sprang into action. We all packed up, skipping breakfast, in favor of getting out before it started raining again. Fortunately, it cleared up and the sun even came out. I was glad that I packed my arm and knee warmers as it was a chilly morning and everything was soaked from the rain. The ride back was not as muddy and sloppy as we anticipated but there were lots of good sized mud puddles we rode through. 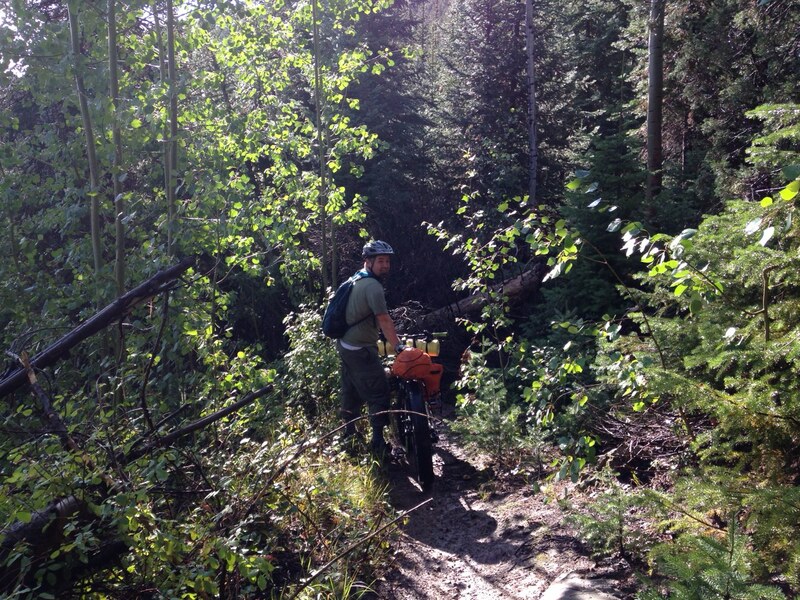 The severity of the storm was confirmed to us as we found at least six downed trees across the trail. 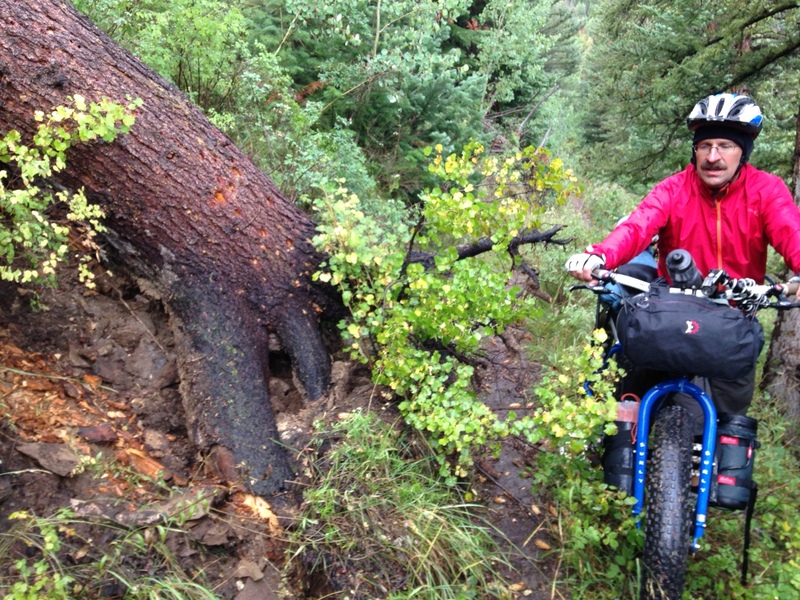 One of them was a large dead pine tree that took considerable effort to drag our bikes up and around. The ride back to the truck was pleasant, but too short, leaving us wanting more great singletack. The first of several downed trees. (photo by Kyle Christensen). 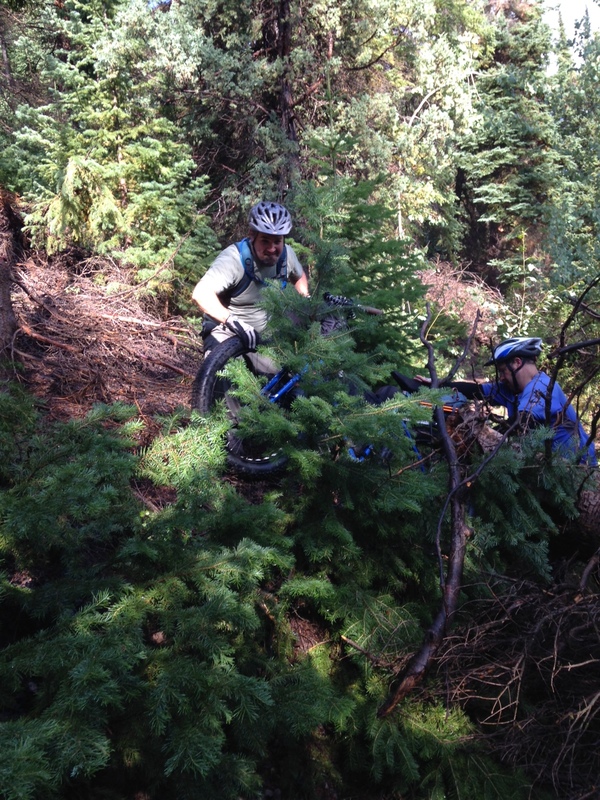 Dragging the bikes up and around another downed pine tree. Despite the storm, we had a great time. 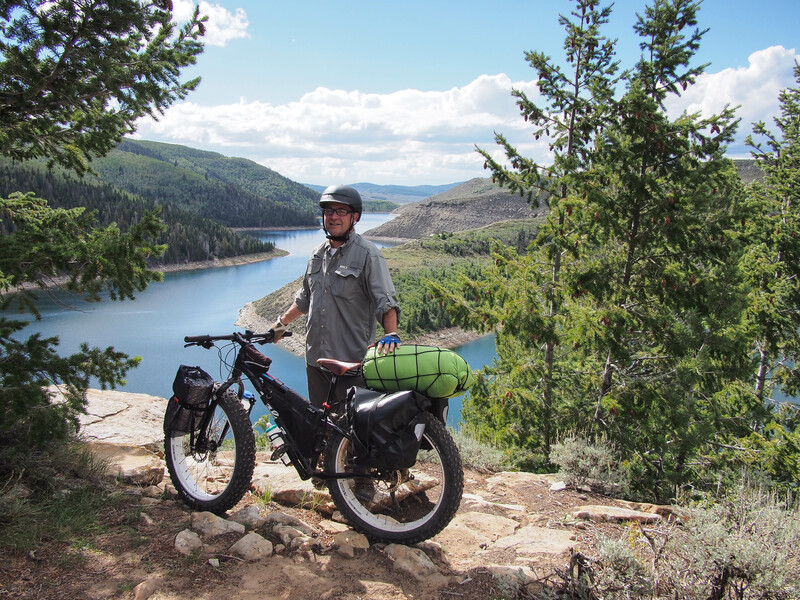 Strawberry Narrows is a great trail to ride, loaded or unloaded. 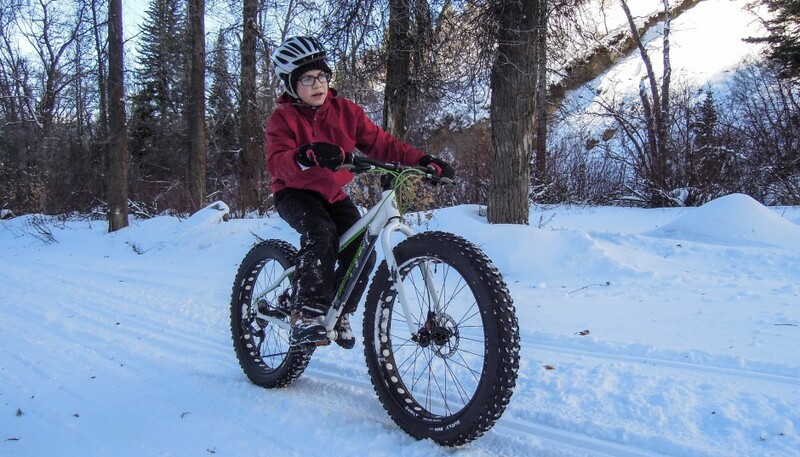 It would make a fantastic 26 mile out and back ride with spectacular scenery. If it was warmer, there are great swimming opportunities in the reservoir as well. 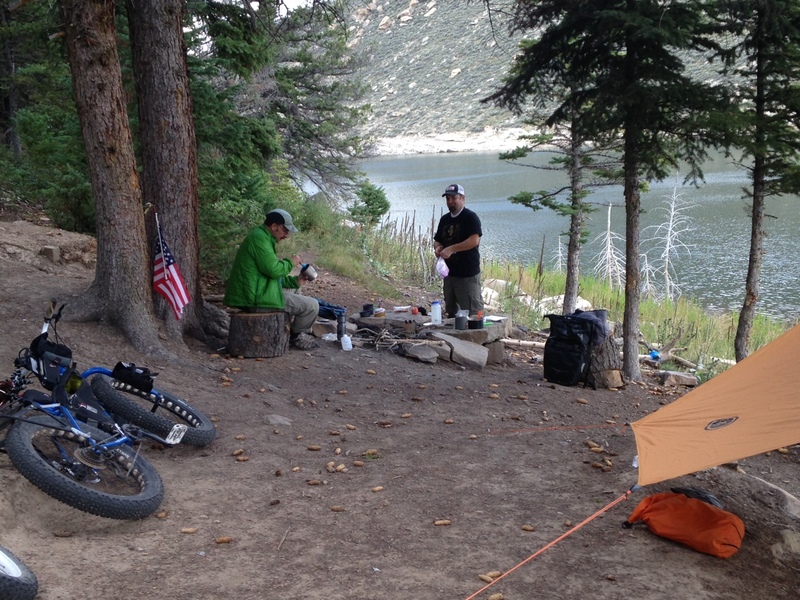 Even though we didn’t get to ride the whole trail, this was a great S240 trip, that is sub 24 hours overnighter. 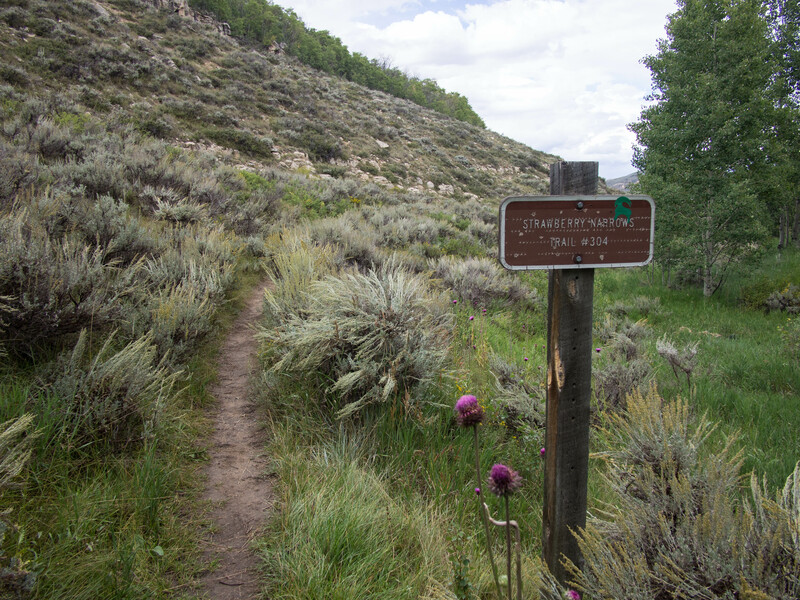 We highly recommend this trail. It is about a 1.5 hour drive from Utah Valley. End of the trail, wet, soggy, and muddy. Nice adventure! Jason, some of those pics remind me of our 50 miler many years ago. Those bikes look like fun! Those 50 milers were pretty fun when we were kids Randy. I guess I haven’t gotten past that desire for adventure in my life. Even if I have to grab it one ride at a time. Reblogged this on Cannabis News .